Countless hours of playing the Legend of Zelda games have taught us two things. First, it's really only a matter of time before Ganondorf returns to wreak more havoc. 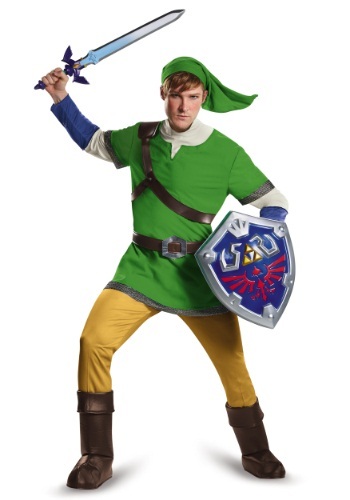 And second, dressing up like Link is always a fun time! 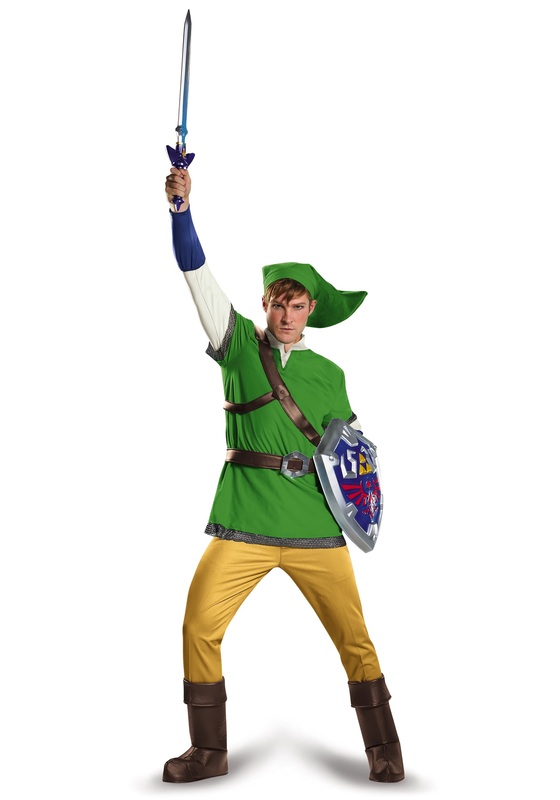 Now you can suit up in this officially licensed Deluxe Link Costume, and see what it's like to be the hero of Hyrule! Saving the kingdom from Ganon's evil clutches is no easy task, but there's much more to it than just slashing away at monsters. You'll likely have to traverse a few dungeons that contain many complicated puzzles to solve before you can move on. But you'll also run into plenty of other activities along the way, some which might help you on your quest, while others might just be fun. Like the Hyrule tradition of smashing every clay pot you come across, or chasing down runaway chickens! You might be rewarded with a couple of rupees for your trouble, or if you play your cards right, you may even get something really valuable, like an empty bottle! Hee-yaa! 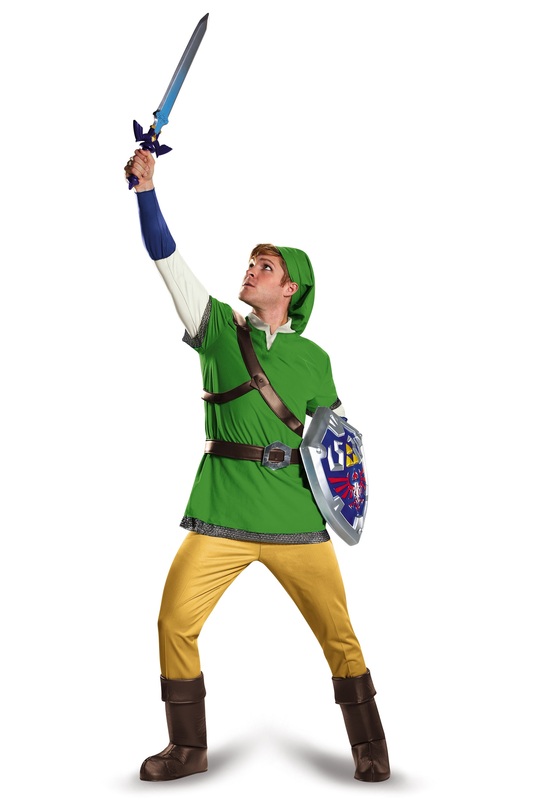 A bottle could be useful when you're wearing this deluxe Link costume, but if you ask us, you'll probably want to grab the matching Link Sword and Shield instead. 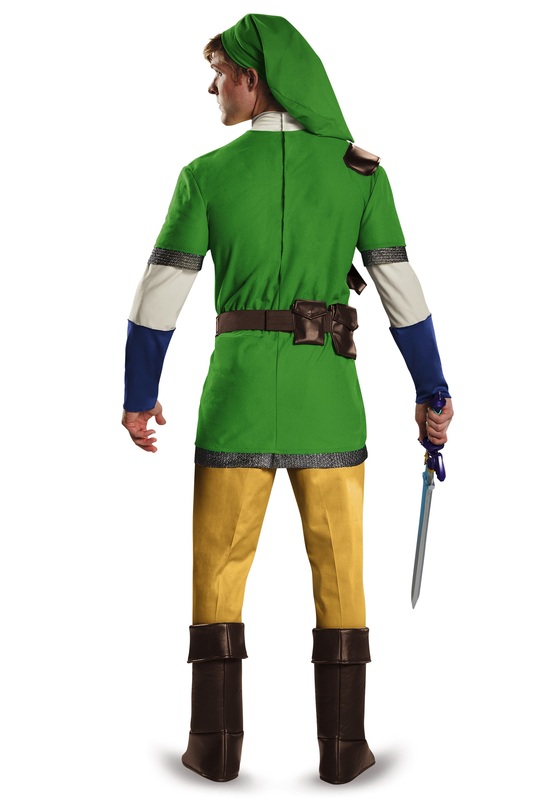 The costume comes with nearly everything else you'll need for your adventure, including the green tunic and cap, a faux leather belt and harness, and foam boot tops. You just need to add a pair of tan pants and some elf ears to complete this legendary look. But definitely don't pass up that bottle if you stumble across one; you'll be thankful for it later!